The Spanish Public Prosecutor will make public this week their proposed sentences for the 18 Catalan leaders, prosecuted over the 2017 independence push ahead of the trial – while other 7 officials who are in exile won’t be tried, so far. The Supreme Court officially opened the trial phase for the case last Thursday, and gave five working days to the public and private prosecutors to have their final say before the trial takes place. 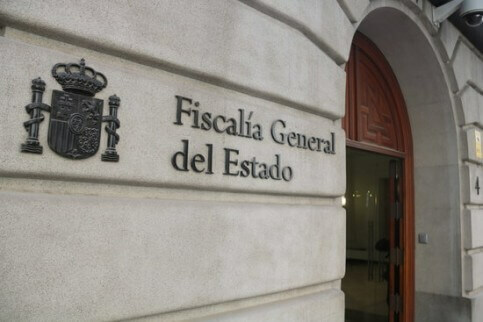 Along with the public prosecutor, Spain’s Solicitor General (representing the government), and private entity and far-right party Vox, will propose their sentences for the prosecuted officials, presumably on Friday, 2 November. The prosecutors will have to say within this deadline whether they choose to maintain the rebellion charges against some of the prosecuted individuals, which might carry up to 30 years in jail. Some are also accused of misuse of funds, whereas others face charges of disobedience. The other unanswered question is how many years in prison each of the prosecutors – but especially the public ones – will request for each of the officials, and in total. The Catalan pro-independence parties urged the Spanish government to take some steps to free the jailed leaders while awaiting trial by asking the public prosecutor to drop charges against them. Catalan vice president Pere Aragonès said last week that Spain’s cabinet could make some gesture because it is part of the prosecutor for the case through the solicitor general. After visiting the jailed leader of Esquerra (ERC) party, Oriol Junqueras, and speaking over the phone with Carles Puigdemont, left-wing Podemos party leader Pablo Iglesias has also asked the Spanish prime minister, Pedro Sánchez, to take some steps if he wants the pro-independence to sit down to negotiate the 2019 budget. Both Esquerra and PDeCAT are essential for the spending plan to be passed in the Congress, in Madrid.